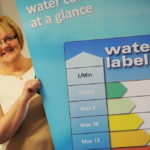 Compliance and water efficiency best practice is needed to ensure safety in social housing, says Yvonne Orgill, CEO at the Bathroom Manufacturers Association (BMA). There have been two reports so far in 2019 that have called for a substantial increase in the building of social homes. A cross-party commission told the Government that more than three million new social homes are needed in the next 20 years. The housing charity Shelter, which convened the commission, said in its report that 1.2 million new homes are required for those in greatest need, such as people living in hazardous or overcrowded homes or experiencing homelessness. They also estimate that new homes should be accessible to a further 1.2 million young people and 700,000 older people trapped in private rent. These calls come as the Government plans possible new legislation on social housing following the deaths of 72 people at Grenfell Tower. Social housing providers must look for compliance and water efficiency best practice, to avoid the possibility of another disaster. Attitudes are changing but we still have a long way to go before we can be confident that compliant, ‘fit for purpose’, products are being selected and installed correctly. There are no fewer than eight separate pieces of legislation that apply to manufacturers, from water regulations and the Consumer Act to Construction Product Regulation (CPR), introduced in 2013, which makes it mandatory for companies to carry the CE Mark on all relevant bathroom products, covered by a European harmonised standard. The BMA is working with other trade bodies to strengthen awareness. There is an educational CIPHE video online that addresses some of the issues and we are working with Keele University to develop an online tool to support compliance, which we expect to launch later in 2019. The online ‘tool’ will provide a quick and easy navigational platform that will highlight what law, legislation and regulation needs to be complied with and possible routes to achieve this. At the moment there is little redress for those that flaunt the law and that is part of the problem. The UK market is flooded with products from shower enclosures, trays and screens and ceramic-ware like toilets, bidets and basins that don’t meet the required ‘fit for purpose’ safety and quality standards. For social housing providers, energy efficiency is increasingly important. Councils and RSLs need to factor water saving into specifications, with 22% of all the water used in the home attributable to toilets and 25% to showers. A study by the Energy Saving Trust estimated that we use 840 billion litres of water each year for showers and flush more than 740 litres down the loo, equating to enough water to fill 300,000 Olympic swimming pools. 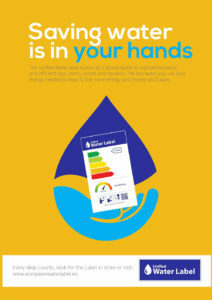 The Unified Water Label provides a clear and simple system to identify water saving products. The label also includes information on the water flow, flush or volume, enabling a more informed choice to be made. Specifying products from this database, installing them correctly and using them as directed, will not only help deliver environmental benefits but cost-savings too. Whilst it is a voluntary scheme there are currently 12,500 products and 148 brands already using it. The BMA is raising awareness so that everyone in the supply chain, be it specifier or installer, knows to look for the relevant CE marks and to ask to see evidence that products are compliant when they are not present, with the clear message, if in doubt do not buy. Greater support for the Water Label from the social housebuilding sector will help drive forward much needed change in the industry.